DESCRIPTION: A pretty 2 bedroom cottage style modern maisonette within the heart of this Thameside village. Kingfisher Court is within minutes walk to the shops, amenities and the train station giving fast train connections to Reading, London Paddington and Oxford. Off road secure parking for 1 car. SUMMARY OF ACCOMMODATION: Entrance lobby, sitting/dining room, fitted kitchen, ground floor cloakroom, two double bedrooms, bathroom with shower over. Gas central heating. Gated allocated parking for 1 car. Local facilities & schools: The property is within easy walking distance of the tremendous shopping facilities that Pangbourne offers, excellent riverside pubs, restaurants, bus service to Reading, doctors surgery, village school is within easy walking distance. 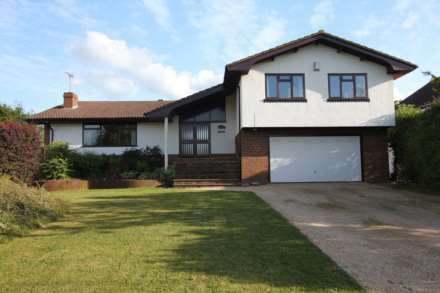 The property is within the Theale Green School catchment area. Lots of walks through open countryside and the Pangbourne meadows, River Thames, the bowling club and tennis club are within easy walking distance. DIRECTIONS: From the offices of Dudley Singleton & Daughter turn left and left again at the mini roundabout. At the next mini roundabout at The George Hotel turn left, proceed under the railway bridge and the property will be found on the right hand side. Services; Mains water, electricity, gas and drainage. Deposit: Equivalent of two months` rent to be held throughout the term by the government approved Deposit Protection Service through the Landlord`s Agent. Please advise us if you believe you have an adverse credit history which could include County Court Judgements, CCJ`s; failure to do so could risk the loss of your registration, tenancy set up and referencing fees. From the offices of Dudley Singleton & Daughter turn left and left again at the mini roundabout. At the next mini roundabout at The George Hotel turn left, proceed under the railway bridge and the property will be found on the right hand side.